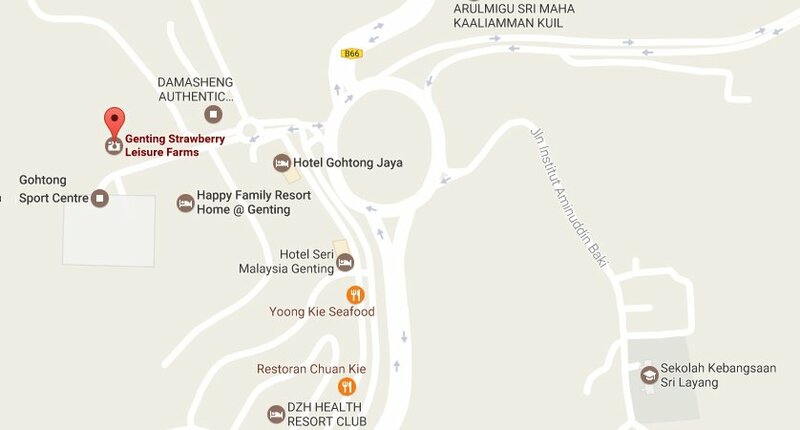 Home » Genting Highlands » Genting Strawberry Leisure Farm, come enjoy fresh strawberries! 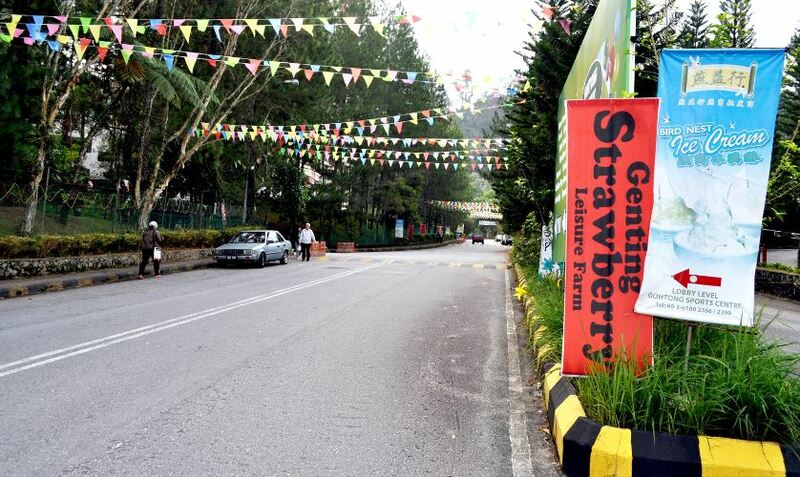 The Genting Strawberry Leisure Farm, built at a cost around RM2 million, is a popular tourist attraction in Gohtong Jaya, nestled directly at town opposite the Mawar and Bunga Raya Apartments. 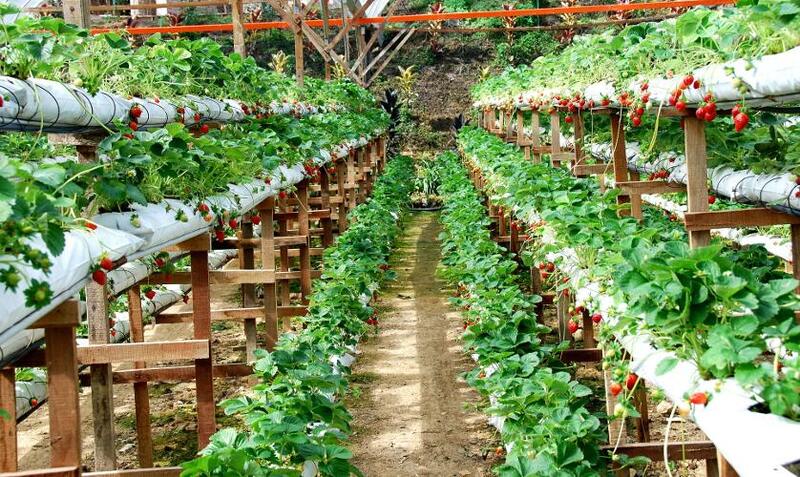 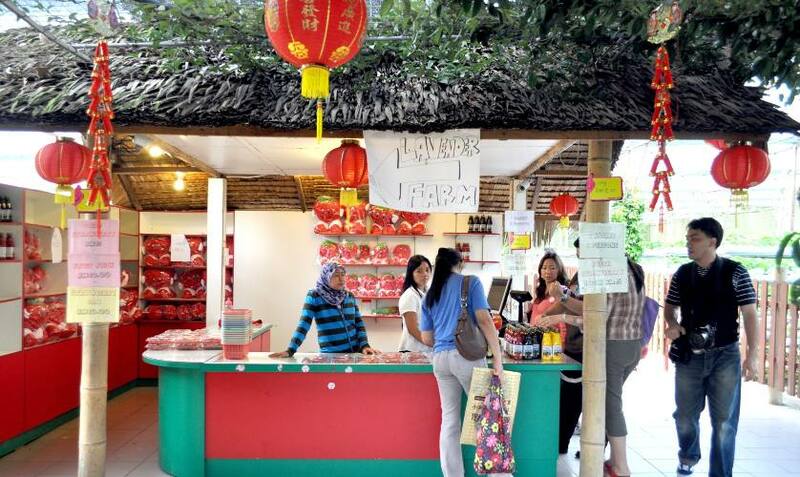 The Strawberry farm is situated next to Gohtong Sport Center complex where you can find ample parking and just make a short walk over to the farm. 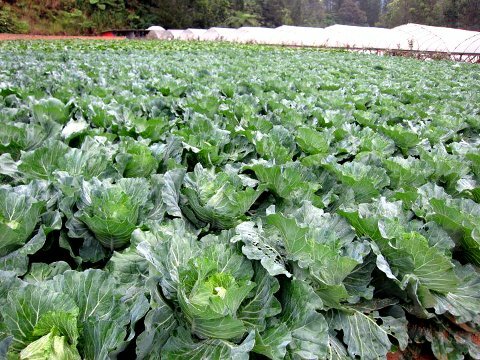 The farm is close to the main road you will not miss it. 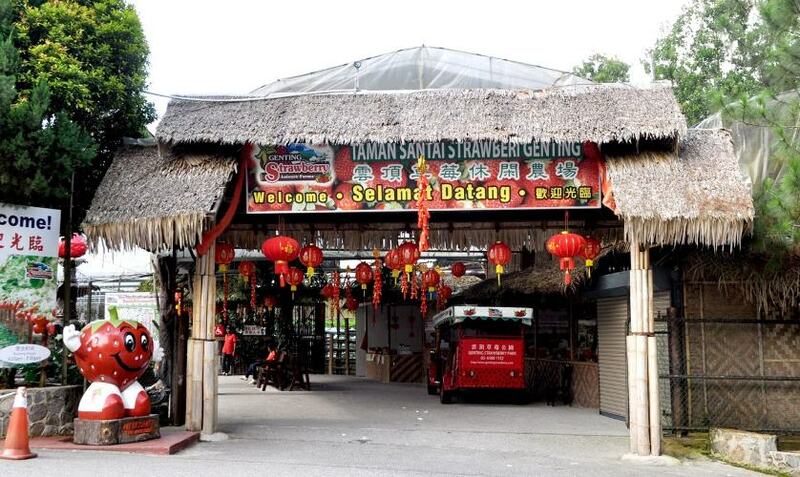 Address No.6, Lot 3707, Jalan Jati 2, Bandar Gohtong Jaya, 69000 Genting Highlands, Pahang Darul Makmur, Malaysia. 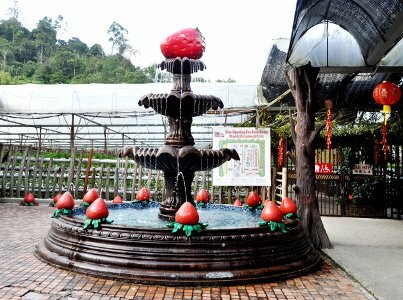 Once entered, you will be greeted with a big water fountain and fresh strawberries available for purchase. 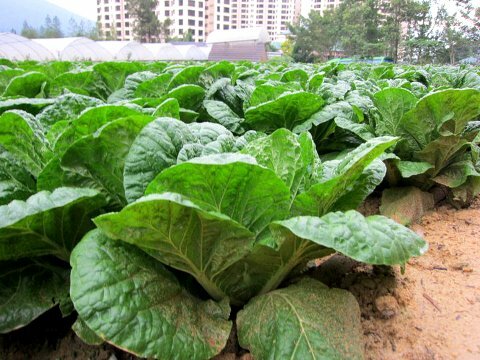 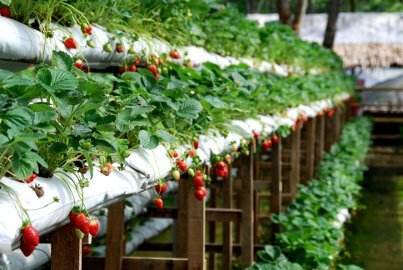 The strawberries with seedlings originated from California, which were supposed to fruit throughout the year here at Genting Highlands due to the generally lower temperature. 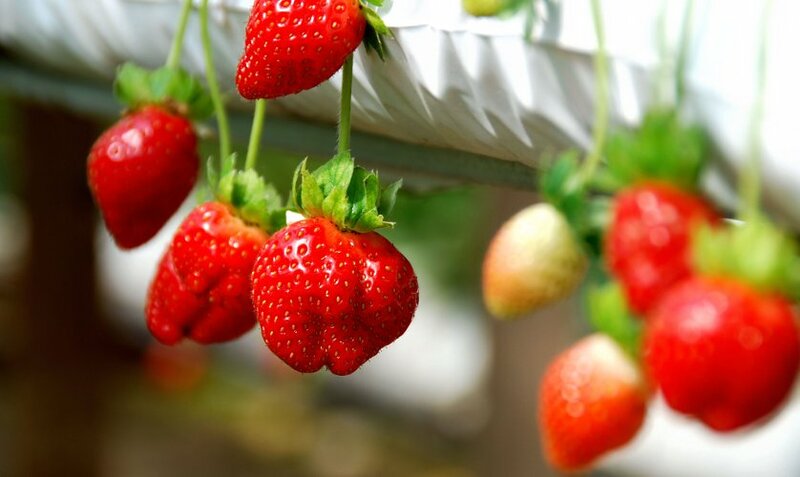 Once the buds bloom, the fruits will appear in a week’s time. 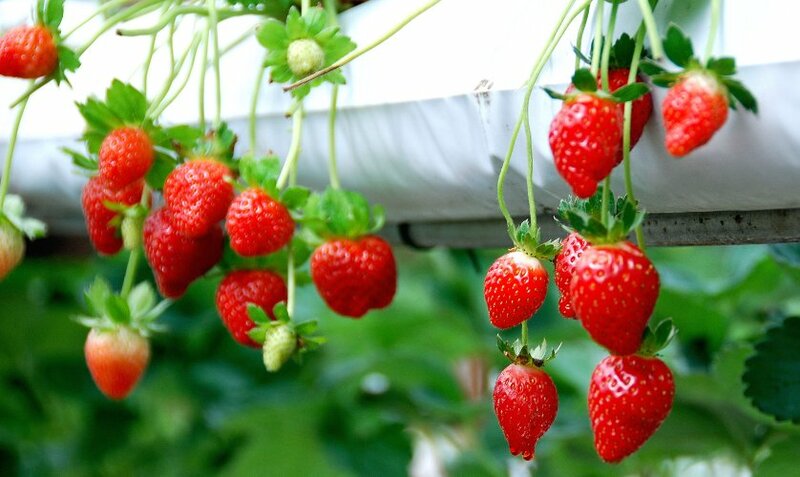 The fruiting cycle is three months and after five fruiting, the plant has to be replaced. 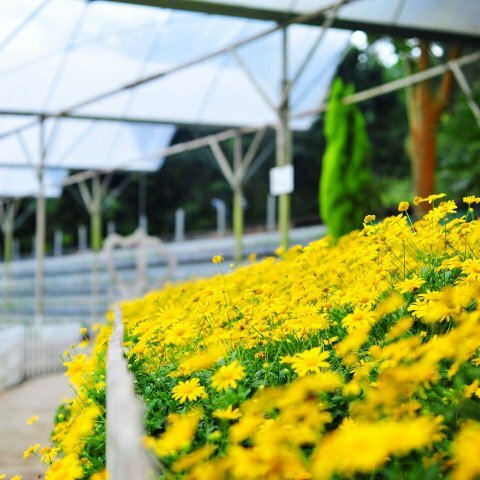 There are some 10,000 plants in this farm! 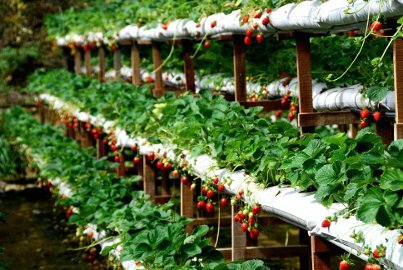 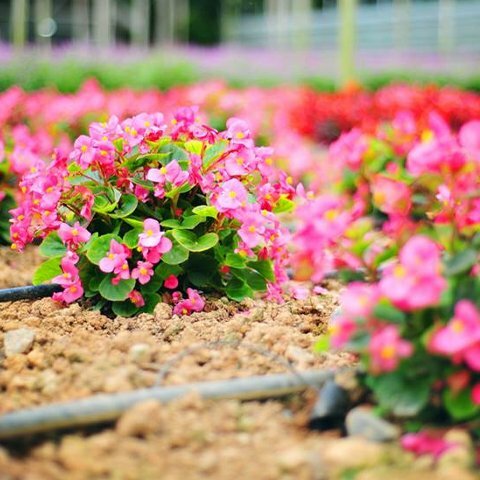 Strawberries are not the only cultivation – mushrooms, herbs, flowers and hydroponic vegetables are also grown here commercially in adjoining nurseries. 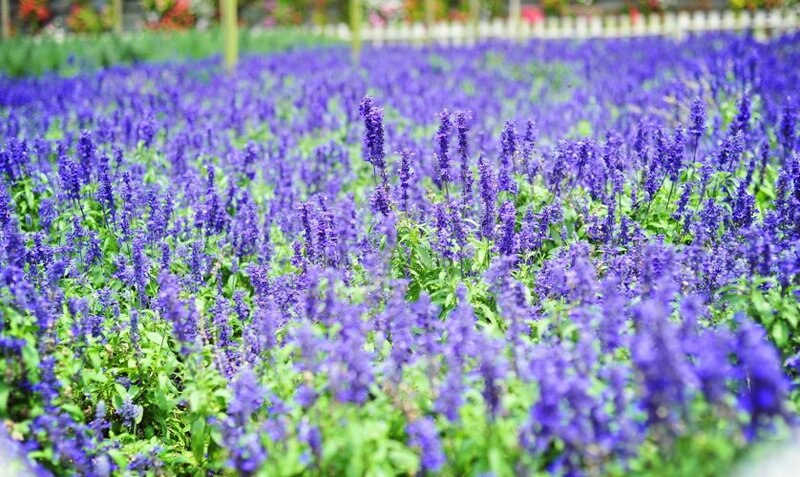 Within the six-acre land is the Lavender Garden. 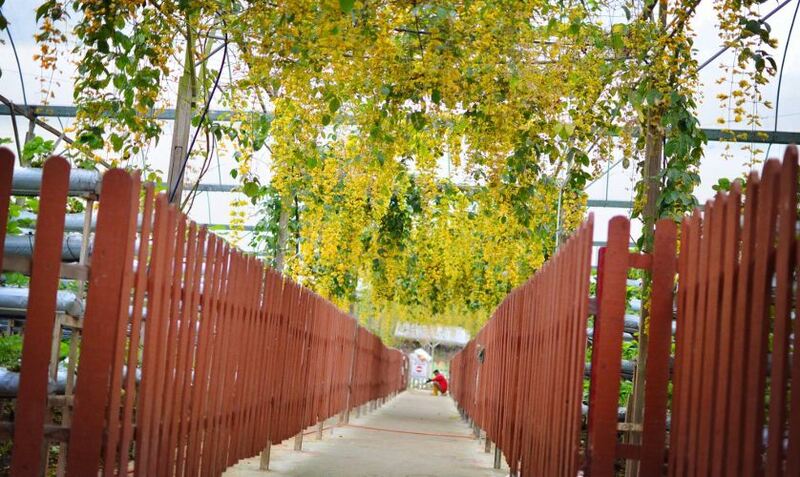 No extra admission fee is imposed on visitors to enter the garden. 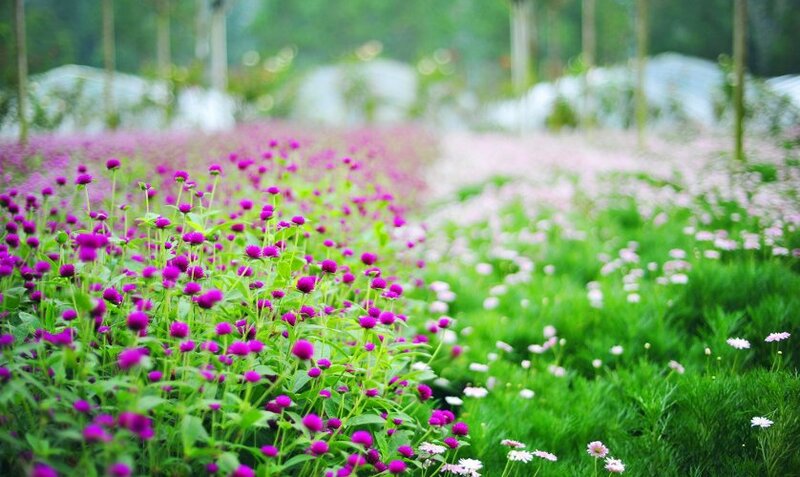 Besides lavender, there are many other types of flowers. 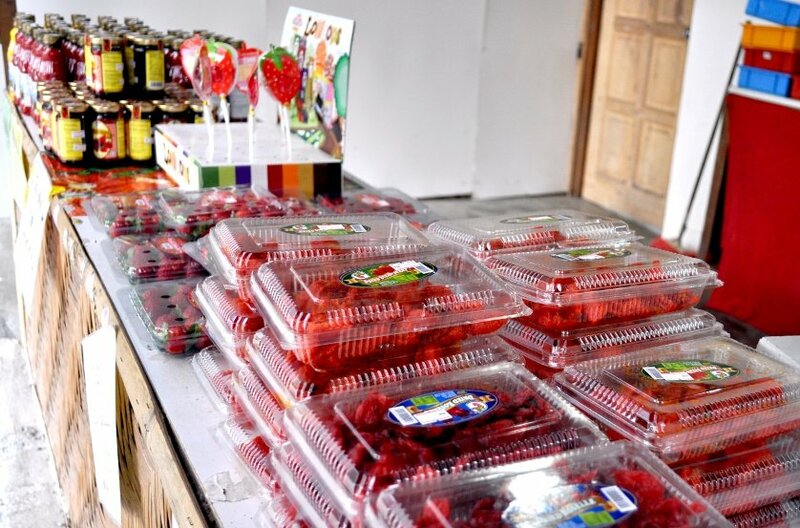 In the orchard, visitors could opt to purchase pre-packed strawberries at the price of RM15 per box weighing 250 grammes, or self-pick and paying by weight from every 100 grammes for RM8 – this is a very popular family activity.